Brother Jorge Gallardo de Alba, FSC, who has served for the past seven years as a General Councilor in Rome, was elected Vicar General at the 45th General Chapter on May 21, 2014. 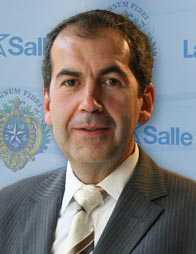 Brother Jorge succeeds Brother Thomas Johnson, from the Lasallian Region of North America (RELAN), as Vicar General. 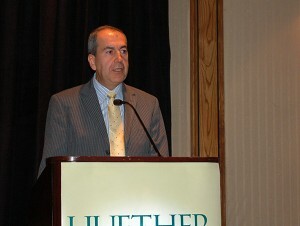 As a Resident General Councilor, Brother Jorge was responsible for solidarity and development, with a specific mission in the inter-congregational project in South Sudan. After making his final profession in 1985, Brother Jorge served as teacher in his home country of Mexico. He studied theology in Mexico and English in California. From 1989 to 2007, he held the roles of teacher, school director, and president of the Delegation of Japan.